CITY GARDEN PRATUMNAK Is a Beautiful Low rise Development by Global Top Group who took the Award at Thailand Property awards 2016 for the Best Boutique Developer for the whole of the Eastern Seaboard Thailand. 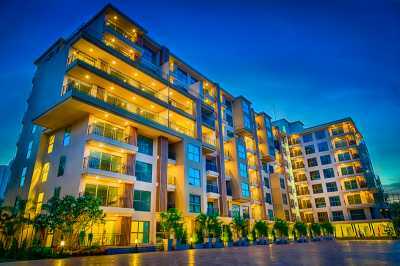 Peaceful and Splendid Lifestyle Living on Pratumnak Hill If a luxurious life in a chic condominium is your dream, wake up to the lavish boutique concept available now in Pattayaâ€™s best location, and the most prestigious Pratumnak Hill at Cozy Beach. 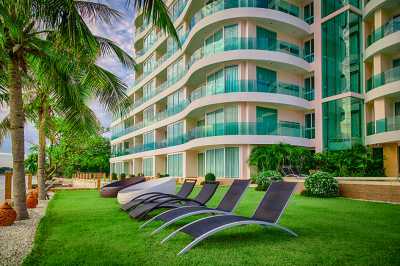 Style, comfort, convenience and value are the hallmarks of this new and sophisticated condominium development from Global Top Group, the 35-year-old company that introduced the concept of luxury living in the heart of the Pattaya. From artistic interiors to inspired exteriors, City Garden Pratumnak exhibits top-quality design and beauty. 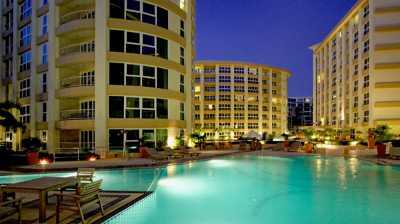 The twin 8-storey building sit on the appealingly landscaped property and is only steps away from Beautiful Cozy Beach. The 157-unit complex offers an extensive array of amenities and services: A lobby that offers the ambiance of a modern hotel replete. An 18-meter swimming pool with adjacent Jacuzzi, European-standard sauna, steam room, fully-equipped modern fitness center and more. Each luxurious condominium unit is designed and finished to international standards. Modern sliding doors conserve space, while cleverly-positioned built-in cabinets maximize storage room without sacrificing elegance or comfort. Modern kitchens and bathrooms are all beautifully finished, and of European standards and design. Units include studios, one and two-bedroom residences in sizes ranging from 26 square meters to 64square meters. 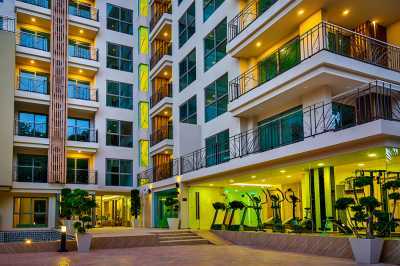 Nearby are a number of popular tourist attractions such as the Big Buddha, Pattaya Park, Koh Larn, and other exciting entertainment venues. Not to be overlooked is City Gardenâ€™s high-value security systems. From CCTV security cameras monitored 24 hours a day to professional security guards and keycard access control throughout the premisesâ€”including secured underground parking area to each building with lift access to all floors In the same fashion that City Garden Pratumnak showcases hotel-standard amenities and services, it can also be managed by Global Top Groupâ€™s rental management service, enabling you to enjoy a healthy rate of return on your investment with City Garden Pratumnak.